It’s crazy how much fun you can have at Christmas! So let rip with daft doodles and puzzles galore to celebrate your favourite season! 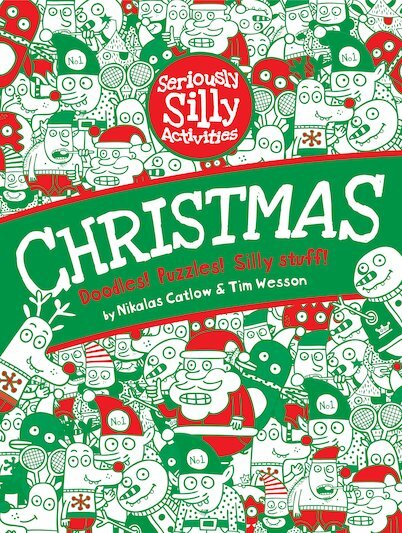 Inside this book, an awesome festive adventure awaits you – bursting with silly stories, dotty doodles, madcap mazes, word searches, comic strips, dot-to-dots, crosswords, sudoku and much more, all with a cool Christmas theme. Santas, reindeer, elves and snowmen are all prancing between the covers, ready to get very silly indeed! So forget about yawning through a boring holiday. Brace yourself for a full-on festive freak-out! Ho ho ho!